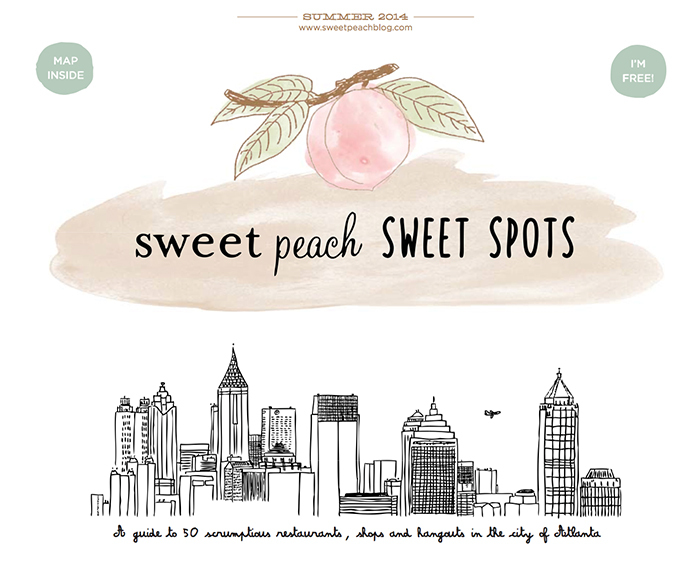 The making of... "Sweet Peach Sweet Spots"
I'm calling it Sweet Peach Sweet Spots and it highlights 50 of the most scrumptious shops, restaurants and hangouts in Atlanta. I've been mulling over this idea now for about a year but it wasn't until six months ago that I got a team together to make this happen. When dreaming up this map, the only person I wanted to illustrate it was Sarah Neuburger of The Small Object. She's the creator of all things adorable. When we met for a coffee one winter morning, she said yes, without so much as a second thought. I was thrilled. It was a ton of work and dedication to not just create icons for a map and the main logo, but to figure out how the design can all work together in a cohesive format. She is supremely talented and a true professional. How lucky am I? And then there's Bob. Oh, how I love Mr. Bob Conquest. He created the Illustrator file for this paper and then we began, minute detail after minute detail, putting this paper together. Hours and hours and more hours over the last five weeks we spent side by side. I made dinners, we drank wine and we built it, one day at a time. I so appreciate his tireless efforts that came from a place of friendship and wanting to make this paper a success. Forever, I am grateful. Vanessa Dina, who designed my Sweet Peach blog (and named it) is one of my closest friends since grade school. 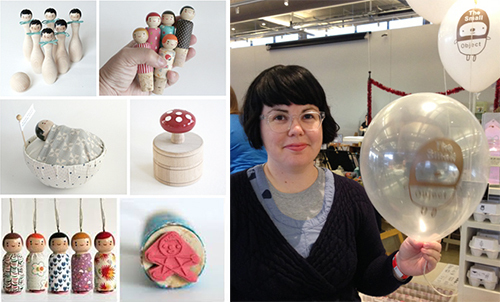 She is a Design Director at Chronicle Books living in one of my favorite cities, San Francisco. I am so appreciative of her impeccable art direction along the way. I also need to thank my sweet friend, Monica Martino for helping me frost the Sweet Peach Layer Cake, to be featured on the front of the paper (it's peach season after all) and Whitney Ott, the talented Atlanta based photographer who came over to take a bunch of pretty pics against a white backdrop. Plus, the lovely Elena Buckley, my ever faithful editor who has my back at every turn, thank you too! I will be approving the first ever Sweet Peach Sweet Spots paper at the press tomorrow morning and then, on Friday, June 6, 10,000 copies later, they will arrive on my front porch, ready for distribution around the city. How fun is that? By Friday morning, I plan to have a printable PDF available here on the blog for anyone to print. I'll be working this weekend, but in those free hours and next Monday and Tuesday, I'll be delivering the paper to all 50 locations listed on the PDF. Oddly enough, about a month ago, my mom sent me some old editions of my first newspaper I did in grade school, called Pam's Digest. Each edition I shared friends and family gossip, fun games, interviews and general advice like where to buy the best ice cream. It was 10 cents an issue or $2.00 for a year's subscription. Most were sold to aunts, uncles, my parents' co-workers and a bunch of others I coerced with child guilt.